T95X Amlogic S905X 1G DDR3 RAM + 8G eMMC ROM Android 7.1 OS 4K Support AV Dolby 3G HDR VP9 H.265 HEVC TV Box Mini PC! With this TV box player, you could conveniently enjoy your video life just at home. Featuring high definition, this TV box player will provide you with clear image. The capacity of built-in memory is large enough to store your favorite multimedia files. 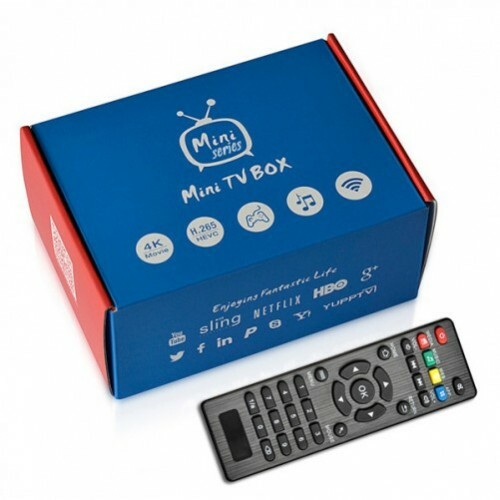 Adopting Android 6.0 OS, this TV box player features excellent performance on stability and fluency. Besides, it supports WiFi function, which makes it quite convenient to get access to other devices. Never miss it!